Born in Codroipo, a small village only a few miles from Venice, Italy in 1905, the son of a stonemason. 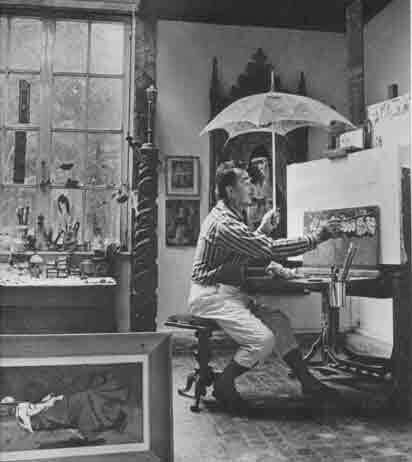 Bosa emigrated to the U.S. at age 18 after studies at the Accademia della Belle Arti in Venice and became an American citizen. He then studied under John Sloan, of the Ashcan School, at the Art Students League in New York. A distinguished painter, Louis Bosa's work has been likened to that of artists ranging from Pieter Breughel the Elder to John Sloan and the Ashcan School. Being an acute observer of the human condition, Bosa's paintings, which are primarily oil on canvas, often focus on people and street scenes from his native Italy. Bosa was known to have followed his subjects around, making many sketches and mental notes, and combined his observations in the final work to create visionary, fantastical images. The subjects of his paintings are highly stylized and expressionistic, and border on caricature. "People are so funny at times they are sad," he said: The people in his paintings are accessible and seem to portray human emotion and everyday life, conquering such concepts as mortality, humility and sometimes futility. His work often reveals comedy in the midst of tragedy. Many of his paintings include whimsical images of nuns riding bicycles and similar authority figures engaged in mundane activities.